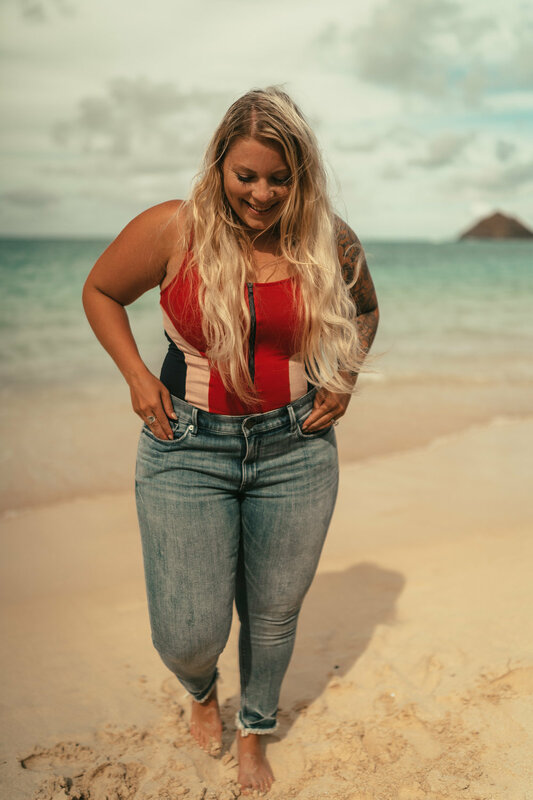 I partnered with Express this last month to share some fun summer looks and fits in their new jean collection and share the new extended sizes they are offering. This month they wanted me to share what or when I found my "perfect fit" in life. I thought about what that would be and the first thing that stood out and felt like a fit was social media and modeling. When I decided to take on social media and creative directing I was hooked. It is a 24 hour around the clock job, it is tiring, it has its ups and downs, but when it comes down to it, I love doing what I do. I feel like social media was the perfect fit because I realized quickly that it wasn't just about posing in cute clothes; it was so much more. I found I was inspiring and helping people feel comfortable in their own skin. I saw how women were so hard on themselves and how I helped them feel empowered. I love getting to inspire all humans of all kinds. I love receiving messages about personal stories or struggles and how I have impacted these friends/followers in a positive way. Social Media for me was like sliding on a pair of perfect fitting jeans. I feel good about what I am doing and want to continue sparking joy. Just like I found my "perfect fit" in life, I also found my perfect fit in jeans. Express recently released a ton of new denim. They have so many amazing cuts and washes. I chose this light washed cropped legging jean with a frayed hem. The minute I put them on I felt so good! I love how they feel and how they hug my curves. I use to be so afraid of shopping for jeans but now that Express has stretch, stretch +, and so much more I have confidence in finding the perfect pair. I've linked a few of the new pieces below. Happy shopping babes!